Willoughby, Campbell and Schurr lived together, with a few other friends, in a large house in Seattle's Univeristy District, while each was in a different band. They eventually teamed up with Johnson and formed Flop...well known for their rowdy shows. 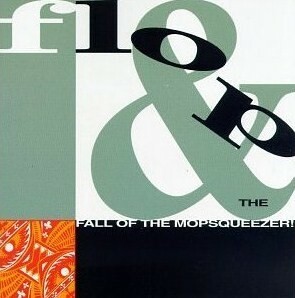 Flop And The Fall Of The Mopsqueezer! 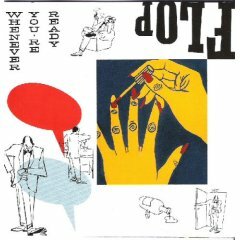 Mostly produced by Fastbacks/Young Fresh Fellow's frontman Kurt Bloch. Click To Buy It! 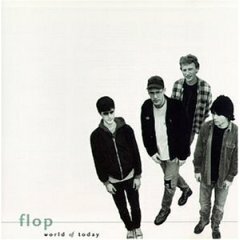 Their move to the major label, 550Music/Epic has this one produced by Martin Rushent, best known for Buzzcocks. Click To Buy It! Epic dumps them and they return to Frontier and to Kurt Bloch, to help produce their final project. Click To Buy it!